Are you looking for a fun gift for the holidays that isn’t going to break the bank? I love the look of gifts in a jar because they are not only appealing but they also show that you care and put time and thought into the gift you are giving. In turn, that shows you care or respect the person you are giving the gift to. Recently, I shared a Spiced Tea Mix in a jar that I made for my husband’s coworkers last year, and I have a few others I plan to share later in the season. 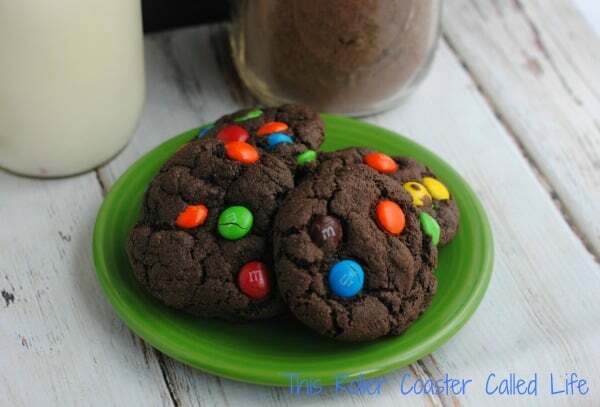 Today, I’m sharing a great recipe for a DIY M&M Cookies Gift in a Jar that would make a great gift, whether it be for the holidays or for another special occasion. It’s really simple to put together, but still looks like you spent a lot of time on it! Empty the box of chocolate cake mix into the large mouth mason jar. Next pour in enough M&M’s to fill to the top (you will have some leftover – feel free to munch on them). Close the jar and tie with bakers string (shown) or twine. 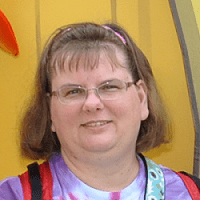 Include the preparation instructions on a tag. Pour the contents of the jar into a medium size bowl. Add 1 egg and ½ cup of vegetable oil and mix well. Bake for 8-10 minutes on 350 degrees. Do not over bake. 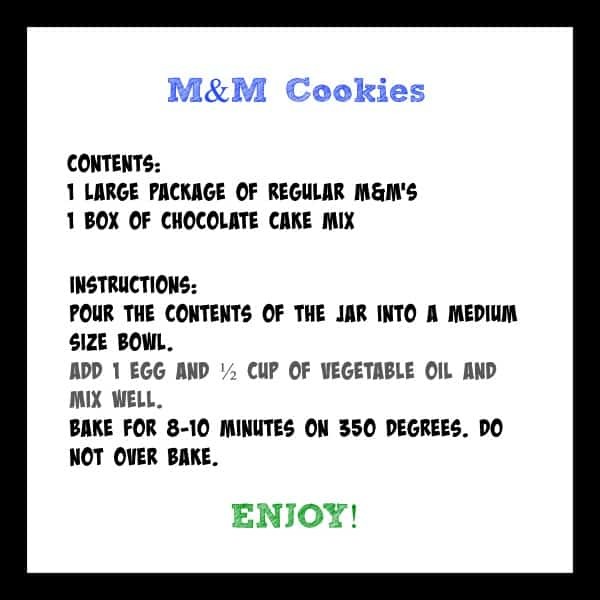 I’ve made a sheet of tags to attach to the M&M Cookies Gift in a Jar for you. 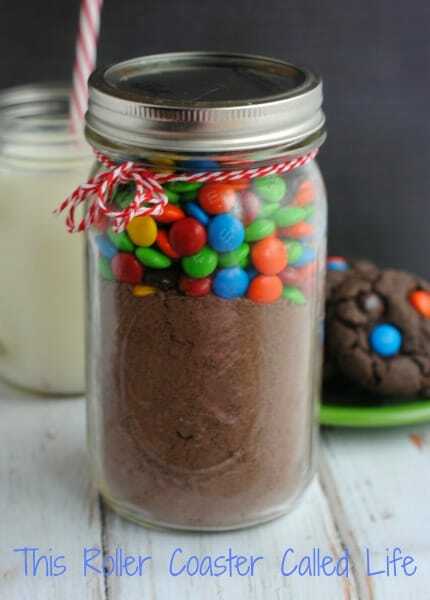 Who would you give one of the M&M Cookies Gift in a Jar to? What a cute gift!! I pinned this for later! 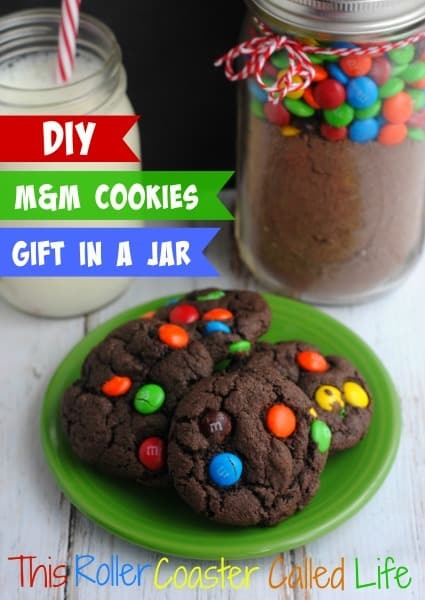 These cookies look great and I love that they are a diy jar gift. Pinning them now.